At least, I don’t think of myself as one. Some might argue that because I’m a gardener and I create terrariums — that it lends to a type of creativity that counts as art. I like this argument, but I still disagree. There are levels of art that amaze me: Fashion design, photography, sculpture, industrial design, poetry, and watercolor, to name several. Watercolor fascinates me because it requires an immense understanding of color and the way something so simple — water — changes it. 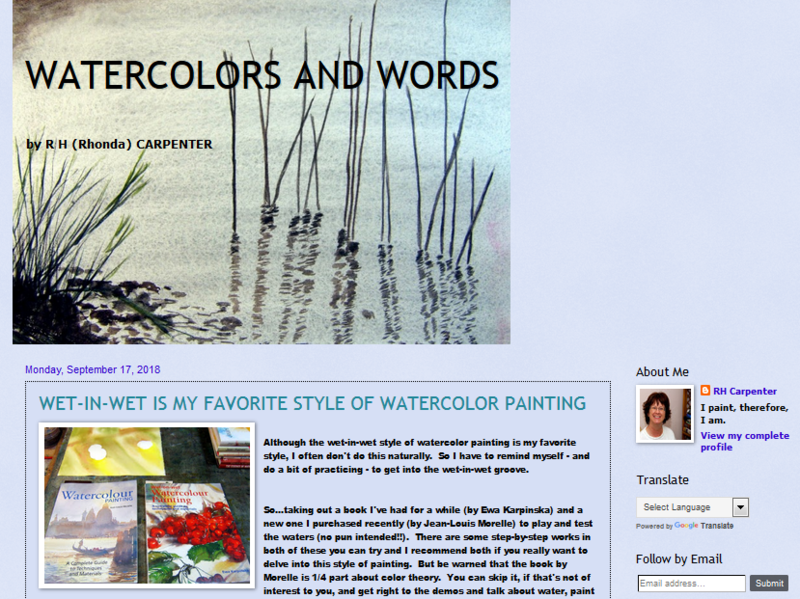 I discovered some magnificent blogs around watercolor and the art community that surrounds and supports it. The watercolor archives of Artists Network really are incredibly inspiring. Artists Network itself covers much more than just watercolor. 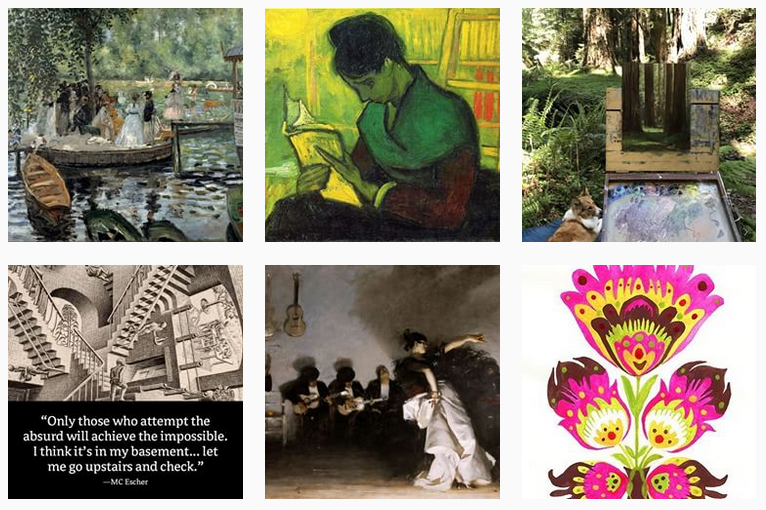 Readers will find material creating art, art demos, art events and competitions, and posts about different media — acrylic, drawing, pastel, oil, colored pencil, and watercolor. Posts that caught my eye: The Zen of Traveling with Art Supplies, 7 Tools for Texture in Watercolor, and How to Paint Clouds in Watercolor. 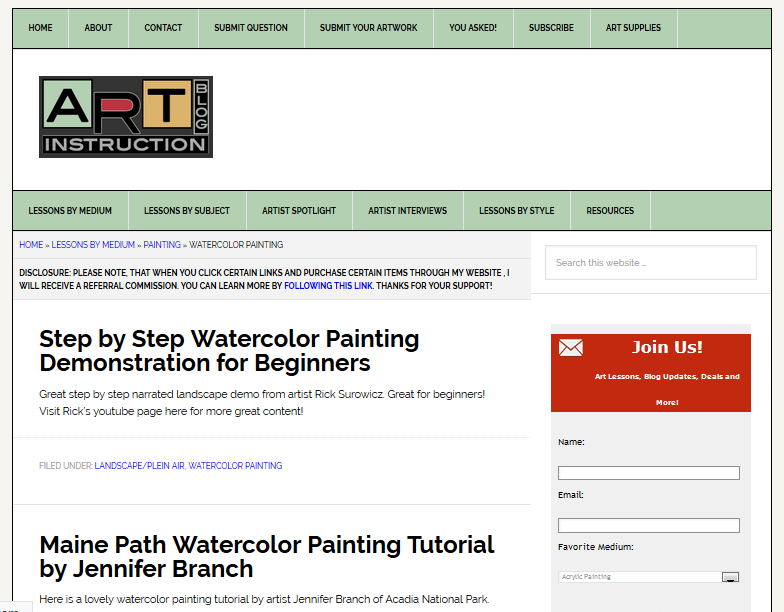 Much like Artists Network, Art Instruction is a much bigger site. It was founded by Ralph Serpe in 2007. Here, you can find information about submitting artwork, supplies, interviews, artist spotlights, and lessons by style and medium. Look under painting as a medium, and you’ll find eight sub-topics, including watercolor. Posts you should check out: Step by Step Watercolor Painting Demonstration for Beginners, Maine Path Watercolor Painting Tutorial by Jennifer Branch, and Is Loose Painting Better Than Tight and Realistic? Follow Ralph Serpe on Pinterest. UK artist Jean Haines is the brains and power behind Watercolours With Life. Her work really is fantastic. Notable posts include Instagram? I am finally on it!, Be Exciting! 2018 Those Warm Up Washes, and Taking Flight: Hummingbird in Watercolour. “I began my journey with watercolor painting in April 2003, taking weekly lessons for six years before I realized I needed to move on to explore on my own,” Carpenter says. Posts you need to see: Simple flowers wet in wet, Egret in the marches – finished, and Kingfisher 2. P.S. Ever wonder how we come up with ideas for our blog profiles? Our handy list of industries and subjects on PR Newswire for Journalists stays top of mind. If you’re a blogger or journalist looking for art news, let us know. We can customize a newsfeed for you.